I've been sewing but only completed one quilt in the past month. I have several others in the works - you know I'm always sewing something - but none complete. I made this mini quilt/wall hanging 5 or 6 years ago. It hung in my kitchen for a while until something new came along. I had actually made another little quilt using the same design many years ago in blue and white for my more traditional kitchen. I've always wanted to make a bigger version. The pattern is Broken Dishes and is an old traditional block, easy to find with a Google search. For the bigger quilt, my half-square triangles finished at 2 1/2" making the block 5" finished when 4 of them are sewn together. I alternated 5 pieced blocks with 4- 5" finished (5 1/2" unfinished) white squares to make a 15" large block. 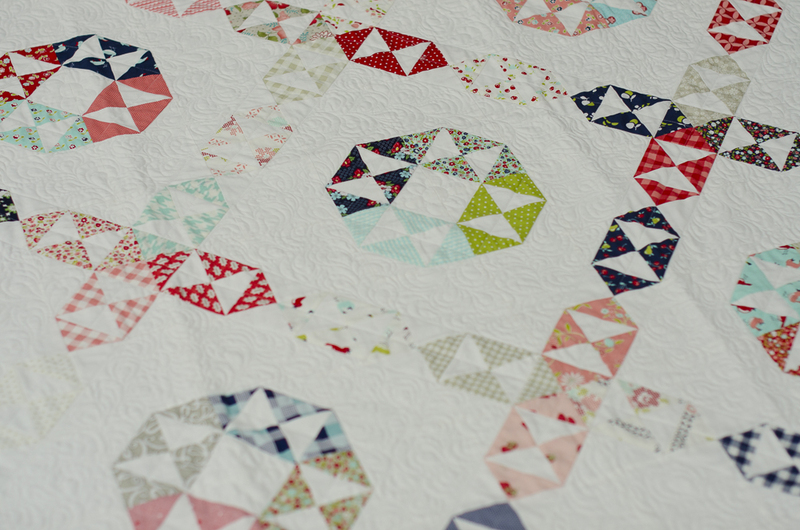 The quilt has 4 - 15" blocks across and 4 blocks down to make a 60" square quilt. 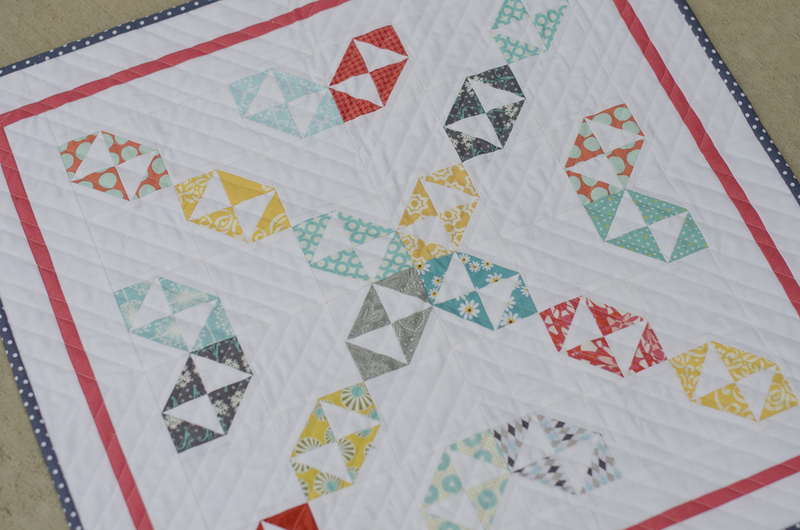 I started with 2 charm packs of Vintage Picnic by Bonnie and Camille, then added B&C stash fabrics. It took me a while to make this small quilt as I fell in and out of love with it many times. But I persisted and ended up loving the fresh result! Sorry I don't have too many pictures this time - I accidentally deleted several. I guess I'm out of practice! Thanks for visiting - hope to see you sooner next time! Oh it so cute. I love the Broken Dishes block. Great fabrics you chose also. So fresh and pretty. Love the polka dot binding! Love this one. Looks fresh and easy. I love the layout and the colors you used. I put it on my must make sooner than later list. 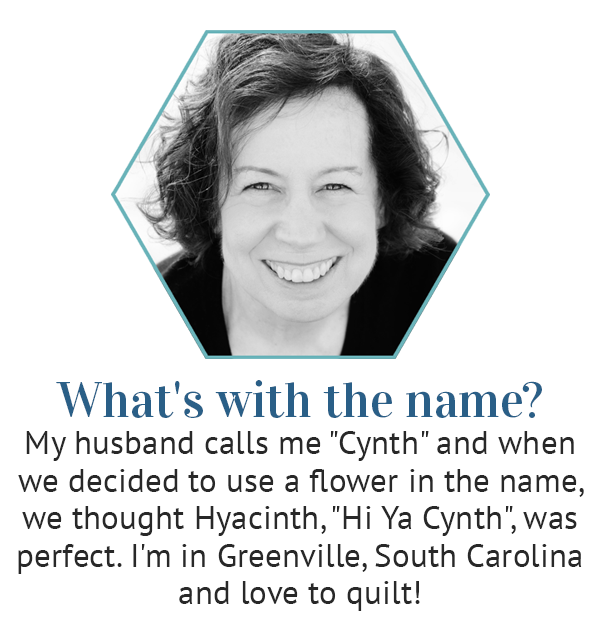 I am always falling in and out of love with my quilts during the process. I love your finish. Broken Dishes is such a fun block to work with! I am trying to get over my allergy to solids (including quilts with white/cream backgrounds) and I have a question about using solids for backgrounds. 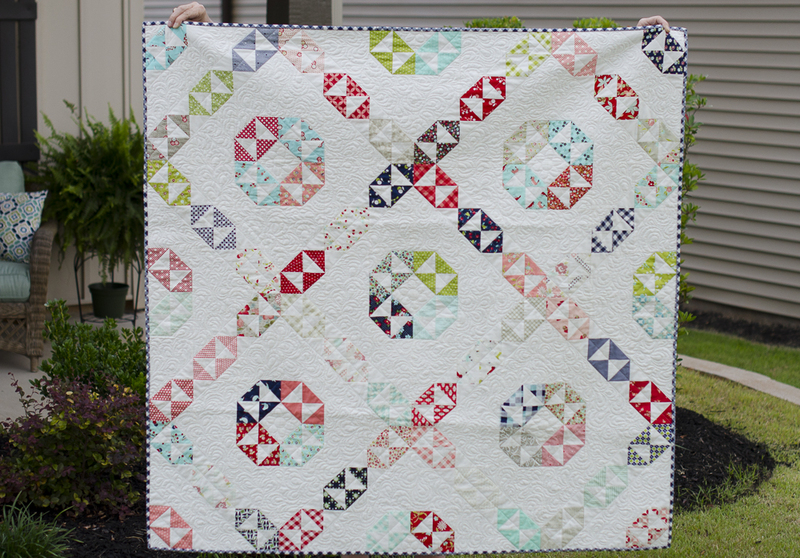 Do you purchase yards of a few neutrals to have on hand (like batting) or do you buy the solid for each quilt? Beautiful Quilt! Love the Fabric Colors used!